Part 4 of my commission piece and we are done! 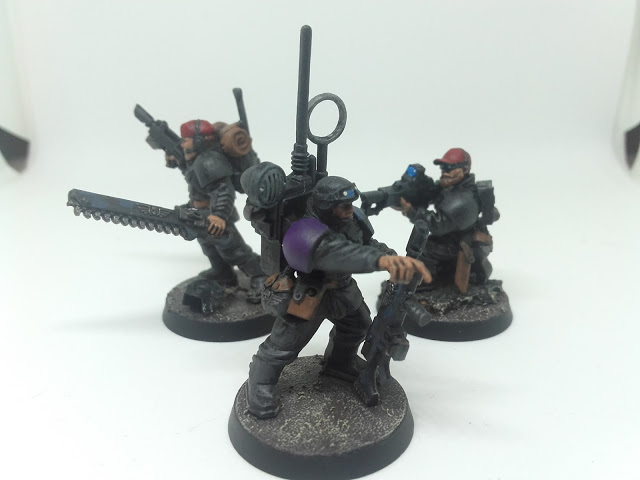 The last things to do were some light urban camo n the weapons, touching up the bases, couple of thin coats of varnish and basing scrub. It all came together rather quickly. 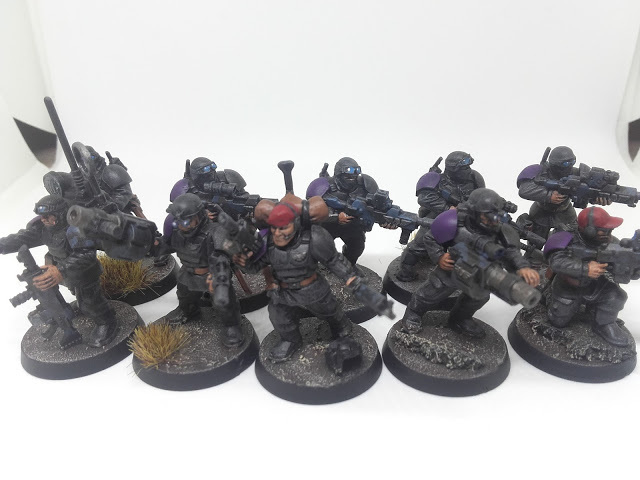 So that is the first 10 of the twenty Special Ops troopers to do. Now they may not be up to other peoples standards and there are better commission painters out there, but I am pretty bloody happy with how these turned out. 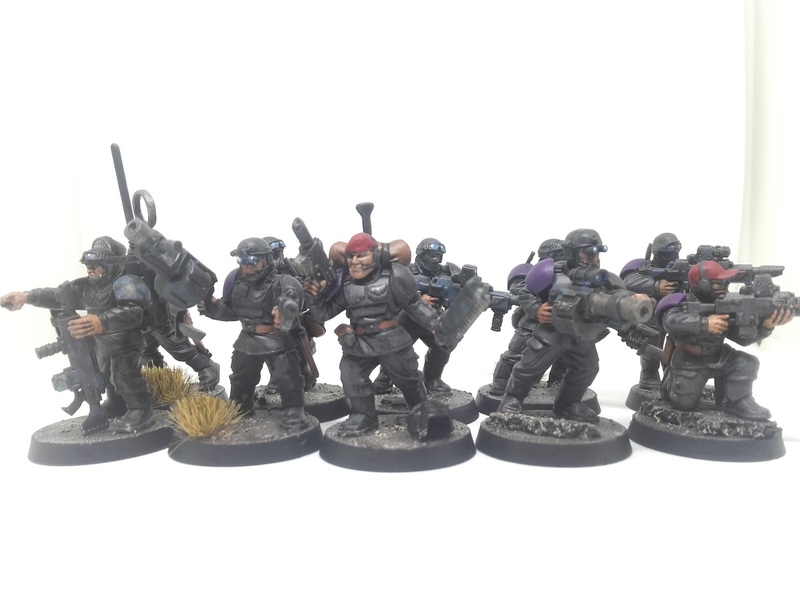 The full 10 man squad: Cadian Special Ops when you don’t want to send anyone else! For part 1 of this go right over here: getting the bits together. For part 2 of this jump right over here: assembling the troops. For part 3 of this wander right over here: lots of paint. 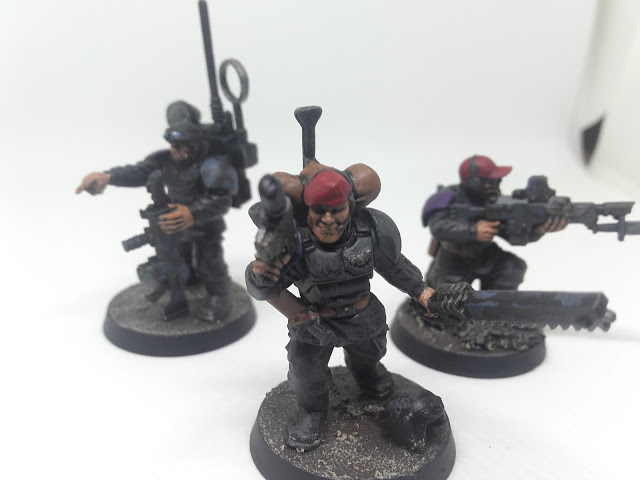 Cadian Special Ops: the old boys. Ultimately this was my first go at commission painting and I am not sure it is something I would set up a dedicated service to do but I would like to take on some more work like this in future. 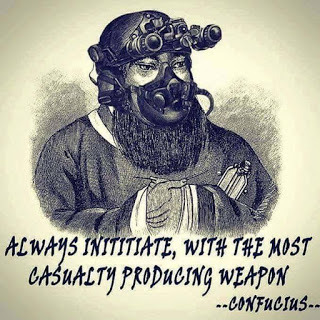 After all I otherwise would have never have gotten to play with so many third party pieces or Imperial Guard without it. Still I have the other ten to do and I doubt people want to be bored with me going through the process a second time, so I might just drop one post of those when they are finished in the end. Time will tell. 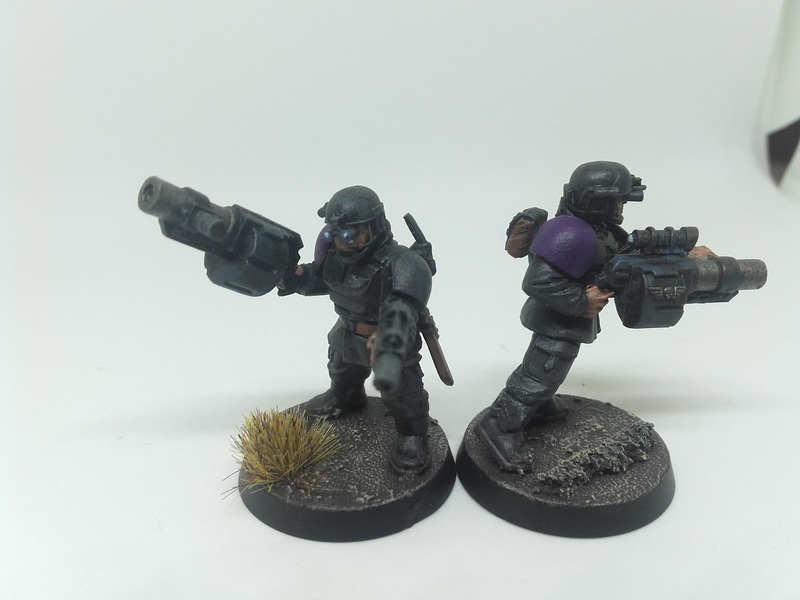 Cadian Special Ops: grenade launchers. 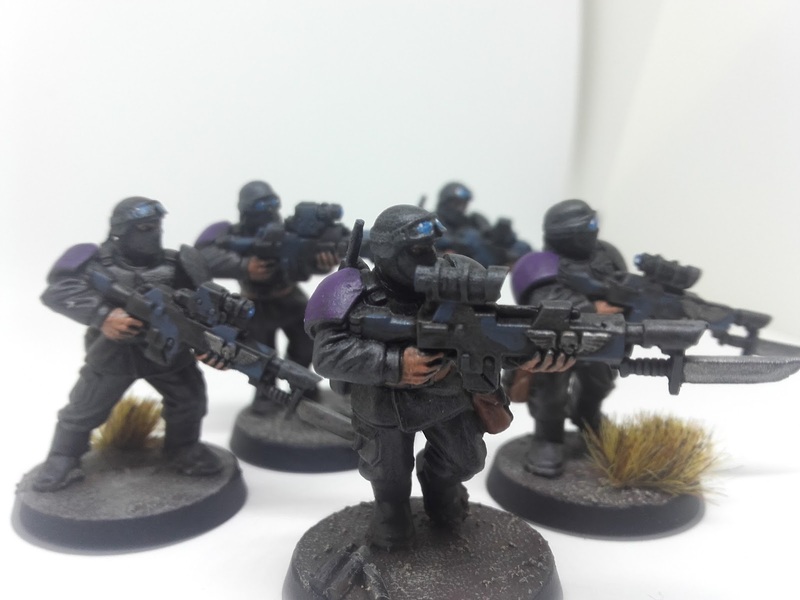 Cadian Spec Ops: rifles ready! Cadian Spec Ops: rifles ready! The camo pattern is fairly subtle. 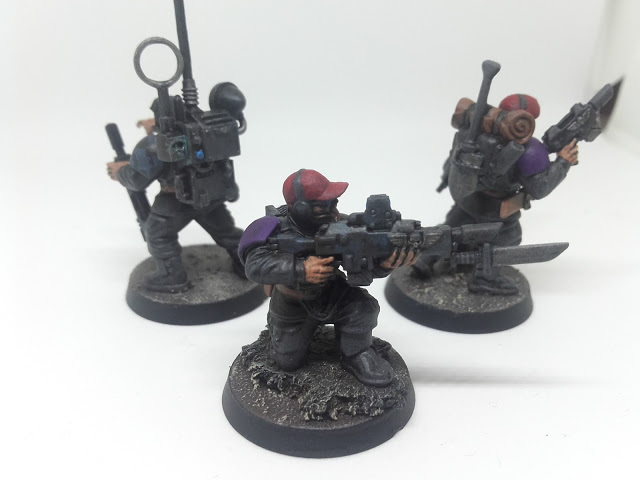 The urban camo patterns I found for the rifles were either digital patterns or random blobbing, well one of those suited my skill level a whole lot more than the other. 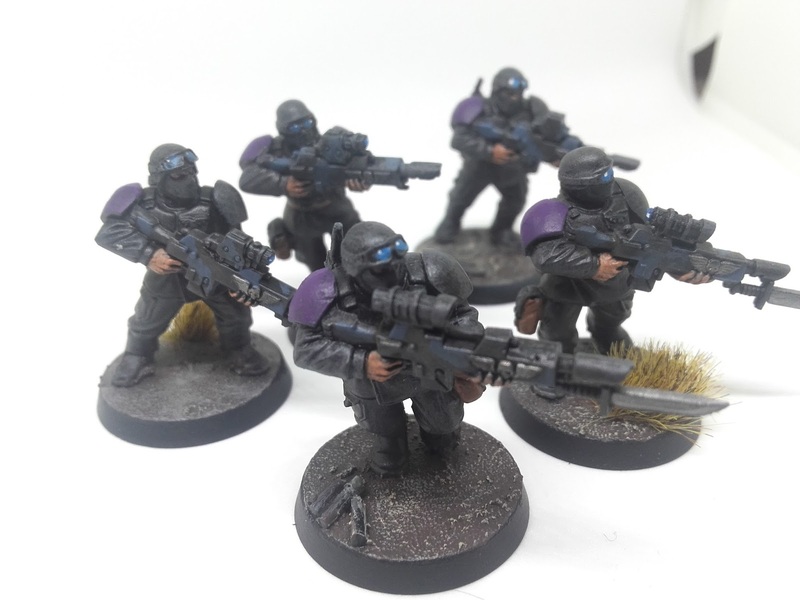 So as such I went with a random selection of brighter and darker greys across weapon surfaces and shading parts of them back to blend things in.